As a member of our team, the Project Engineer is responsible for assisting the Project Manager in daily administrative management and documentation of the construction project. Responsibilities include analyzing the project budget and influential costs, determining the project schedule, tracking submittals, working with plan documents and other project documentation, and tracking the overall project progress to ensure timely completion. Coordinates with Project Manager to create accurate documentation. Assists in the material procurement process and tracking the accuracy of project estimates. Solicits new subcontractors and suppliers and assure necessary pre-qualification steps are taken. Ability to develop a bid package. Keeps track of all submittals and follows the set procedures to ensure the project keeps on schedule. Accurately manage drawings, subcontractor documents, invoices and any other on-site construction documentation. Ability to read and understand drawings, project specifications, cost analyses, and scope of work. Accurately summarize project details and any necessary changes. Implements proper Change Order procedures and estimate costs of any changes. 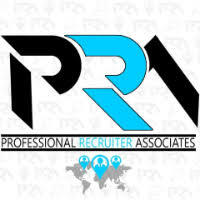 Handles any RFI requests in a professional and accurate manner. Tracks, maintains, and develops all necessary close-out documents to assist the Project Manager. Ability to keep track of project schedule, making any necessary changes, and tracking the progress as it pertains to the schedule. Creates project objectives and tracks project direction. Maintains and manages an accurate project budget revising any necessary changes and properly communicating changes to the team. Understands and applies any related state and federal laws. B.S. in Construction Management, Engineering with 1-3 years’ experience in the construction industry or equivalent combination of education and experience. Possess strong knowledge base in all divisions of construction management and ability to follow the procedures set forth in each division. Knowledge of local construction related companies is a plus. Possess great organizational skills, and strong verbal and written communication skills. Strong computer skills including the ability to use Bluebeam/PDF, spread sheets, online plan rooms and company communication tools, such as email, internet, and working knowledge of Microsoft Office Suite and computer based scheduling software. Experience with Viewpoint is beneficial.